Not sure what conclusion to draw. 1. Criminals will ignore any and all “gun control” legislation. 2. “Gun control” legislation makes otherwise law-abiding people into criminals. 3. Both 1. and 2. are valid. https://www.breitbart.com/big-govern...n-republicans/. I do not know if this has been posted.The Commicrat billionaires are spending the money. See, this illustrates the problem perfectly. I don’t think getting rid of my guns will impact death rates at all. So why would I? If BBIs gave up his mid-life crisis car would car accident deaths decrease? I assume not. 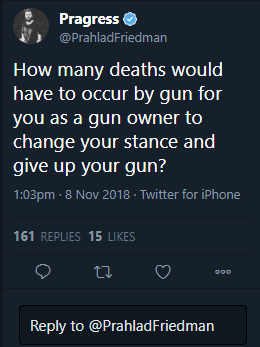 This person is obviously convinced there is a strong correlation between lawful ownership of guns and murder rates. And they think the link is obvious, so therefore people who own guns obviously want high murder rates. You can’t talk them out of that nonsense. You can show them scatter plots of gun ownership by state bs murder rate. The cart looks like random dots. But no, it has to be law abiding gun owners’ fault. The correlation isn’t zero but it’s far less than correlation between murder rates and the states’ Jini index. Turns out, the more ghetto areas a state has, the higher the murder rate. SURPRISE! There’s more violent crime in impoverished neighborhoods! Holy **** that’s such a shocker. I think we should turn tweets like that around to blame them for voting for Democrats, whose social programs keep these people perpetually impoverished, and violent. If the murder rate among PoC were the same as the murder rated among whites, the murder rate in the US would be comparable to Europe. I’m not saying that PoC are inherently violent. It’s got nothing to do with race. It’s mostly due to poverty and the cultural attitudes that form as a result of the Democratic Party’s policies that perpetuate the culture of violence in poverty. -embracing cognitive dissonance sets you free. -spread the word to save the r-word. -advocacy is sane; activism is retarded. -what if you’re full of ****? 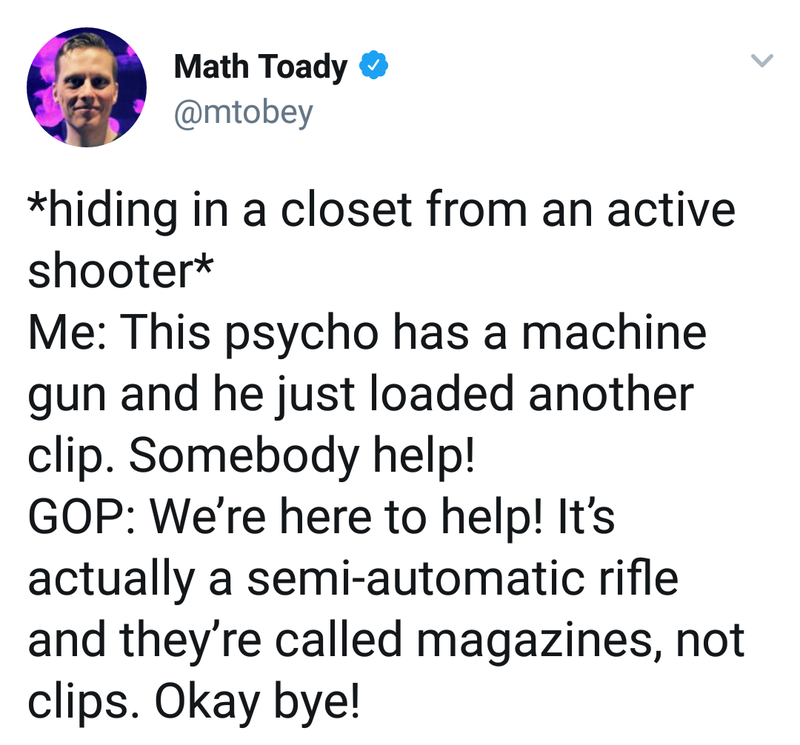 Good zinger, but you could always just carry a gun. I'm sure his debating coach would be proud.